Helping organizations make major changes for the better is one of the most exciting and energizing activities we undertake. The work may involve a few people or the entire system. We do this through Executive Coaching, Team Coaching, and Change Management Consulting. By developing individual leadership skills, communication skills, emotional intelligence, and group membership skills we help you create accountable, inspired, high performing leaders and teams. Integrating values and behaviors in our clients that create sustainable change for maximized results. business leaders, pre-dominantly in senior management or c-level positions, forward thinking high potentials in their organizations. They are in constant search of ways to promote company values while excelling at their bottom line. Our clients are making a difference in the world through their market presence and/or products and services. Anh Vo, CEO and founder of Collective Leadership, is known for bringing her enthusiasm and positive energy to every situation. An ICF certified executive coach, she works extensively in Leadership and Team Development for Fortune 500 companies. Combining her skills as an applied behavioral scientist with extensive intercultural communication and business knowledge Anh creates powerful awareness of values, strengths, and behaviors that affect your bottom line results, team morale, and job performance. 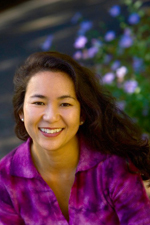 A skilled facilitator, Anh designs team building workshops that foster dialogue and sustained behavioral change. Previously, Anh worked in the software industry as an international turn-around manager in Europe, Asia, and North America. Her focus was to transform non-functional teams consisting of diverse multicultural individuals into dedicated high impact teams. A lifelong learner, she has studied Systems Constellation facilitation, and Advanced Process Facilitation Methodology. 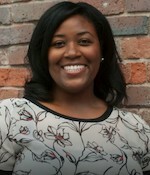 Kendra C. Smith, Vice President of Business & Resource Development, is the newest member to the team. She brings her organizational and administrative skills to planning, marketing & executing workshops and seminars. Additionally, leads in developing partnerships in the community. Her background is in contract negotiation, supply chain, diversity & inclusion, fundraising and community partnerships. Kendra earned a dual degree in International Business and Japanese Studies from Dillard University and a Masters in Business Administration from Pepperdine University. 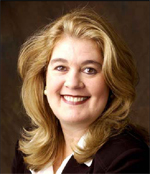 Kathie Julian brings over 25 years of profit and loss, general management, and consulting experience. She coaches and consults with Senior Executives and management teams in Fortune 500 companies and small entrepreneurial organizations, across the United States and abroad. 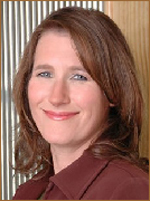 Kathie has an MBA in Strategic Management and International Business. Her focus is on developing and coaching teams for accountability and bottom line business results. Kathie is an internationally recognized author and keynote speaker in the areas of marketing research, brand development, strategic planning, management and Leadership development and team coaching. Mary Ellen Sanajko, Hons B.A. (Co-op), M.B.A., C.P.C.C., O.R.S.C.C., is a Certified Individual and Team Coach whose 21 year career includes IT management in the financial services sector, software sales and marketing, training, facilitation, and executive and team coaching. With endless enthusiasm, Mary Ellen supports leaders, teams and partnerships to confidently navigate transitions, whether change is externally imposed (e.g. moved into a new role), or internally driven (e.g. a desire to improve work-life balance). Mary Ellen’s international coaching practice of six years includes C-level executives of large corporations, entrepreneurs, and professionals wanting to be leaders of their lives. Her impact on organizations has enabled leaders and team members to develop their potential, lead from their strengths, and excel. For the last 15 years Ann Dorgan has worked as an executive coach, consultant, facilitator and manager in the private, public and non-profit sectors.